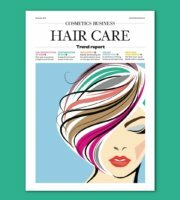 Top hair loss expert and new treatment pioneer, Dr. Alan J. Bauman, discusses how new hair and scalp cranial prosthetic hair replacements made with 3D-printing are offering new hope to alopecia sufferers. 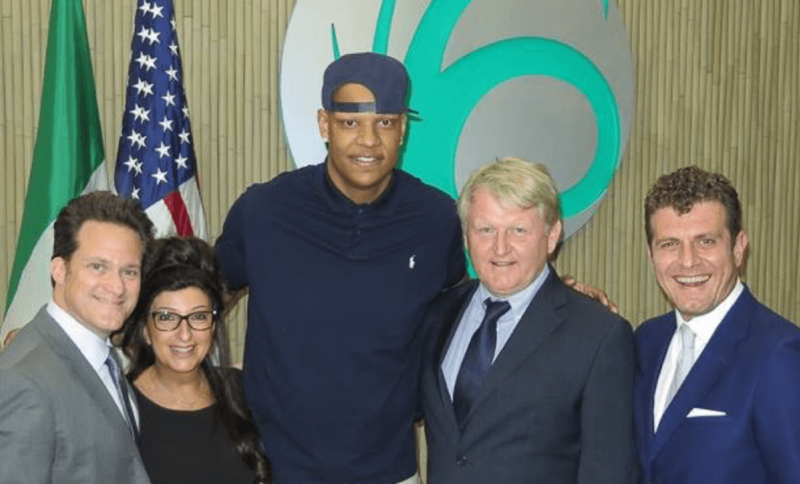 Boca Raton, Florida – September is National Alopecia Areata Awareness Month and it’s an important opportunity for those suffering from alopecia areata and other less common types of hair loss, like cicatricial alopecia, to get educated about effective new hair restoration options that can help. According to the National Alopecia Areata Foundation, over 6.8 million people in the U.S. have, had or will develop alopecia areata at some point in their lives. An autoimmune disease, alopecia areata causes the body’s immune system to attack the hair follicles, resulting in hair loss on the scalp and elsewhere on the body. Depending on the type and severity of the alopecia, sufferers may experience small bald patches on the scalp that spontaneously regrow, or it may progress to full cranial hair loss called alopecia totalis or total body hair loss, otherwise known as alopecia universalis. To combat this problem, the hair loss community recently developed advanced “cranial prosthetics” that can conceal patchy or full scalp baldness in cases where it can’t otherwise be treated. A leading product in the cranial prosthetic category is the CRLab CNC Hair Replacement System, which uses 3D-printing to perfectly design and conform the prosthetic to the patient’s exact cranial measurements, skin type and other specifications. According to Dr. Bauman, cranial prosthetics may be covered by some health insurance companies. “For men and women who are not candidates for transplantation and other medical treatments, the CR-Lab CNC Hair Replacement System does an amazing job of restoring a full and natural-looking head of hair*,” Dr. Bauman explained. Claudia first became ill with alopecia areata in 1993, which caused her to lose all of her hair. After seeking treatment for her sudden hair loss, Claudia was informed that because alopecia areata is a genetic and autoimmune disease, there is no cure, and few medical options exist for treating the condition. 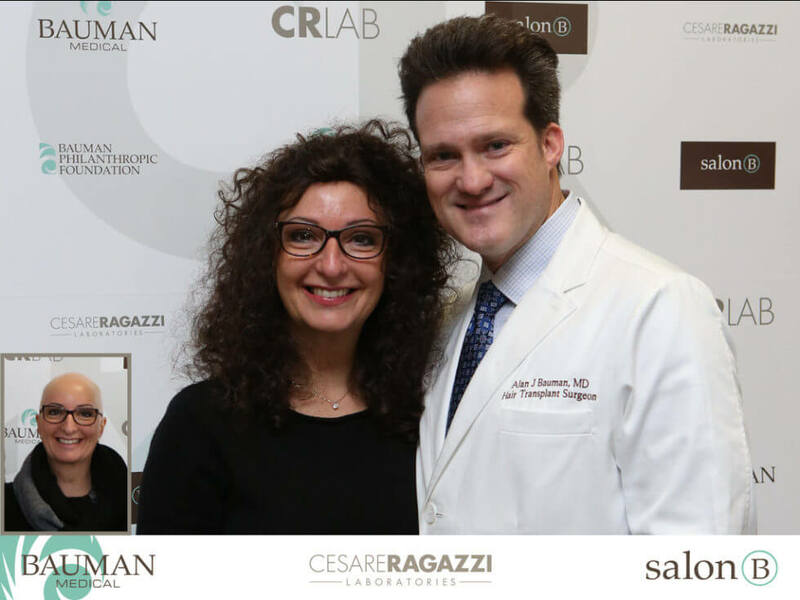 CNC (Cesare Ragazzi Laboratories; Bologna, Italy) is a customized medical-grade hair replacement system that is approved by the Italian Ministry of Health. The CNC cranial prosthesis is crafted from beautiful, 100 percent unprocessed human hair meticulously implanted into an ultra-lightweight, breathable, antibacterial, dermato-compatible polymeric base made using 3D-printing technology. Made with an FDA-cleared components, CNC is a unique hair replacement option for patients who suffer from autoimmune alopecia or extensive scarring alopecia, as well as patients who may not be good candidates for hair transplants. The CNC can be shampooed and styled with ease and can be exposed to all activities, including swimming, shampooing, hairstyling, and high-impact sports. Patients say the CNC becomes “a part of them,” never hot, itchy or uncomfortable—providing a previously unattainable level of confidence, freedom and comfort above and beyond traditional medical wigs. With monthly maintenance and proper care, the prosthesis can last between four to five years, which is far longer than traditional wigs and hairpieces, ultimately saving patients more money in the end. Last year, Dr. Bauman was a featured speaker at the International Society of Hair Restoration Surgery’s (ISHRS) Annual Meeting in Las Vegas, Nevada, September 28-October 1, where he presented a scientific abstract on the use of cranial prosthetics in combination with other hair restoration options to improve the quality of life for those patients with otherwise untreatable hair loss disorders. One of Bauman’s patients who has had combination of hair transplantation and CNC cranial prosthesis was amongst patients examined by his colleagues during the Live Patient Viewing portion of the conference. To learn more about CNC cranial prosthetics as an option for alopecia, or to request Dr. Bauman’s presentation from the upcoming ISHRS conference, visit www.alopecia.md. If you or someone you know is suffering from alopecia, schedule a long-distance phone consultation or an in-person, in-office consultation with Dr. Bauman online at www.baumanmedical.com or by calling toll-free 844-GET-HAIR or +1-561-394-0024. 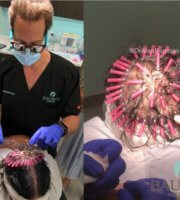 To learn more about scalp and hair treatments and CNC hair replacement systems visit www.salonBBoca.com. 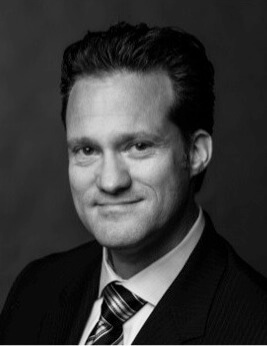 Alan J. Bauman, M.D. 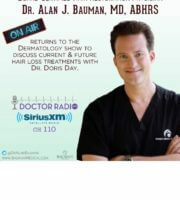 is the founder and chief medical officer of Bauman Medical Hair Transplant and Treatment Center in Boca Raton, FL. At more than 11,000 square feet, his clinic is the world’s largest stand-alone treatment center dedicated exclusively to hair loss. Dr. Bauman has been a full-time hair transplant surgeon since 1997, and has treated over 17,000 patients and performed over 7,000 hair transplant procedures. 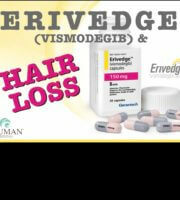 Owned by AdviHair, a subsidiary of AdviCorp Plc., Cesare Ragazzi Laboratories is the established market leader and innovator in hair enhancement—combining unique proven technology with customer empathy. Since opening our first private clinic over forty years ago we have treated over a million clients from all over the world. We are proud to be working with respected expert physicians and thought leaders like Dr. Alan Bauman who care so deeply about their hair loss patients. Our scientific haircare and scalp treatment programs along with our advanced medical CNC hair replacement systems change lives for the better. CNC clients have the confidence to enjoy a natural and active lifestyle, feel a positive sense of wellbeing and live life without compromises. For more information visit https://www.cesareragazzi.com or call +39-051-6174267.